I used to drink orange juice every single day with my breakfast. It was like my coffee. But after enjoying fresh apple juice from the trees I had for a few years, I made a switch. Now that we've moved, I don't have apple trees anymore. :( Instead, I've been buying Simply Apple and drinking that. I like that it isn't as acidic, and I have noticed a huge improvement in my overall complexion. I really have no idea if occasional breakouts and drinking orange juice were related, but all I know is my skin looks much better! Anyway, one morning I decided to make a quick hot apple drink. This AZ winter has been especially cold in the mornings, and since I don't warm up with coffee, I needed an alternative. Mmmm, so yummy, warming, and soothing this drink is! ** Combine apple juice and lemon and heat to desired temperature. Add cinnamon. Enjoy. My hubby enjoyed this drink hot when he had the flu. You can also add Thieves to this drink for an extra, healthy boost. 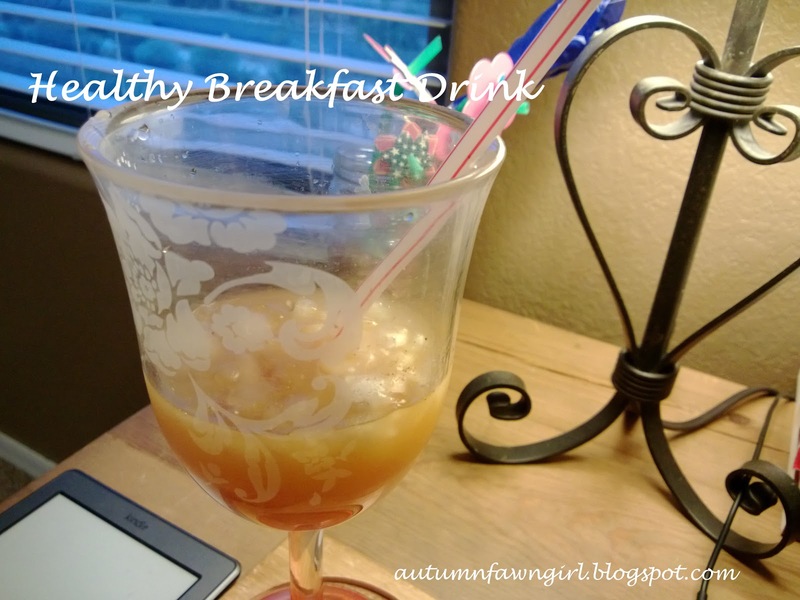 I love this easy, quick, healthy apple drink!! Pinning this, anything with apple and cinnamon sounds good to me! I want to try this drink sometime! !